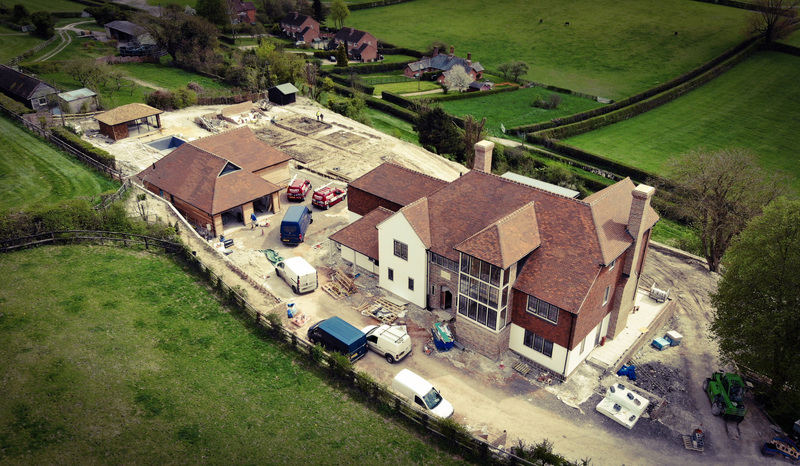 It has been a busy few months for Witcher Crawford with a number of our projects being completed on site or in the main throws of construction. 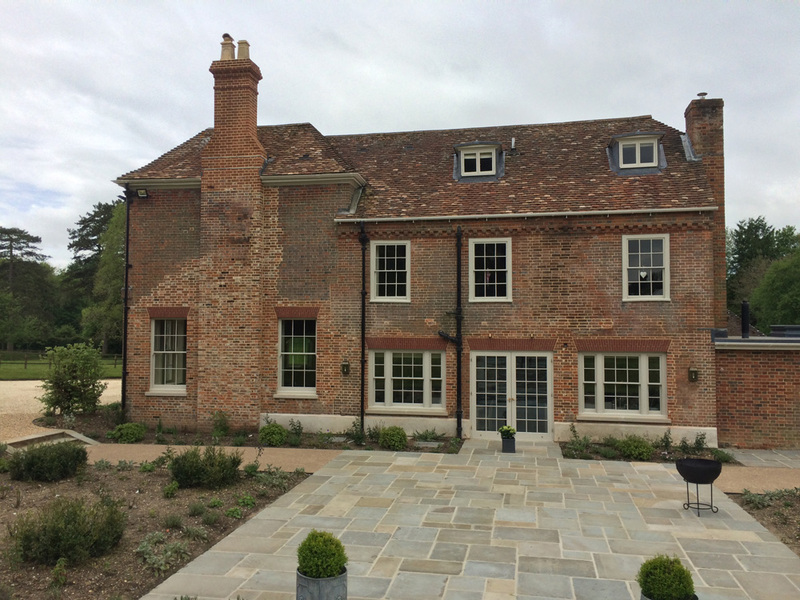 We have also had a number of exciting architectural projects submitted for planning, in Hampshire, Sussex and Devon. 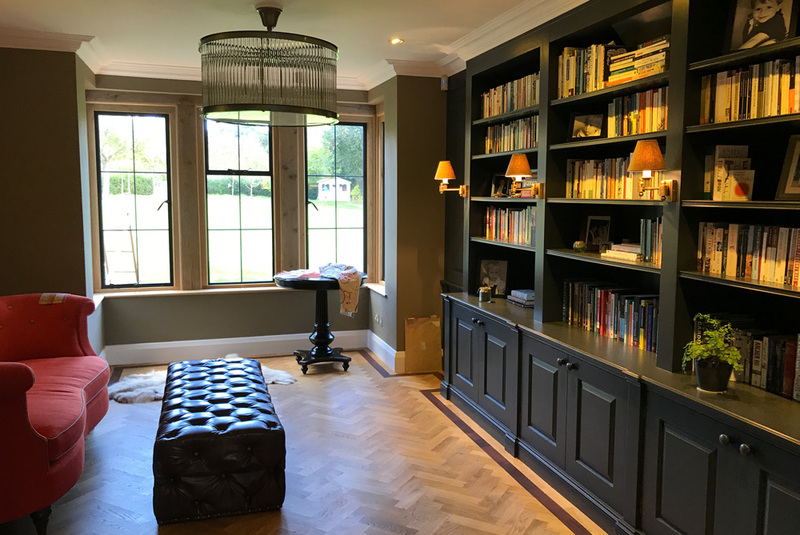 As we have all returned fresh from our holidays, we thought it is time we had a pause for thought, share some recent project images and comments they have received. 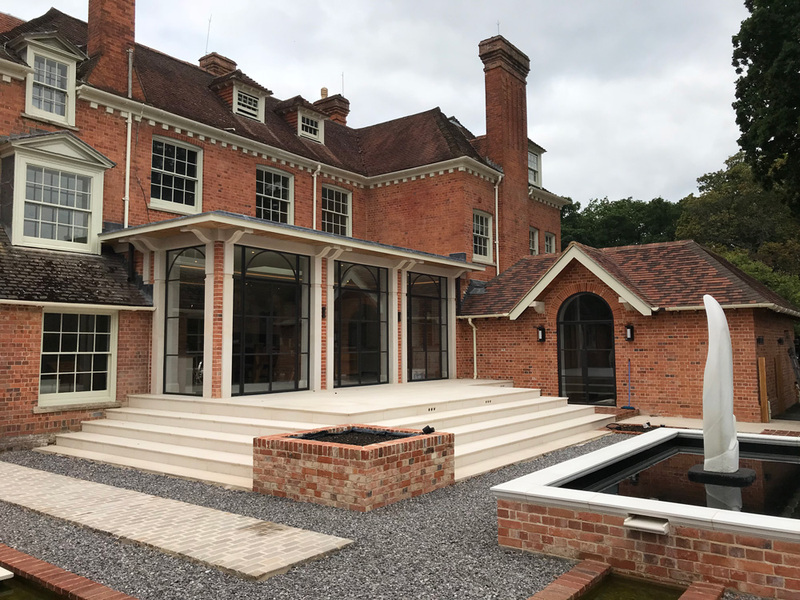 Working with New Forest based developer, Tuakana, Witcher Crawford Architects designed this new build property accommodating 10 luxury apartments in the guise of a country manor. 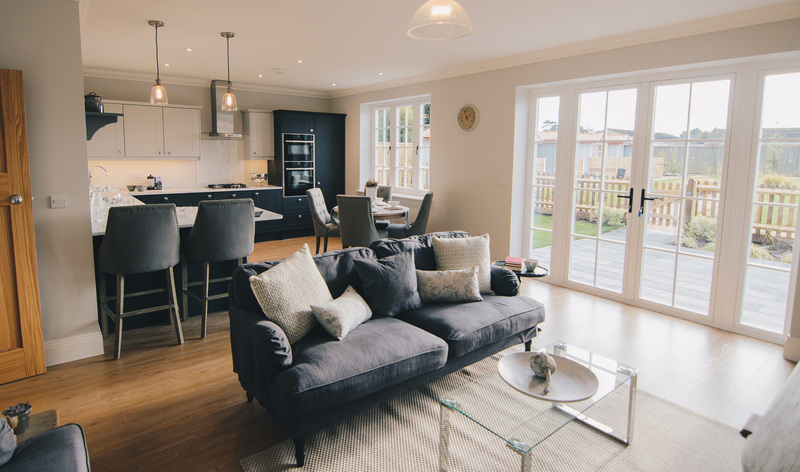 Designed in an Arts and Crafts style the new homes offer a very warm and welcoming communal entrance. The high standard of finish has been carried through the communal areas into each individual apartment. 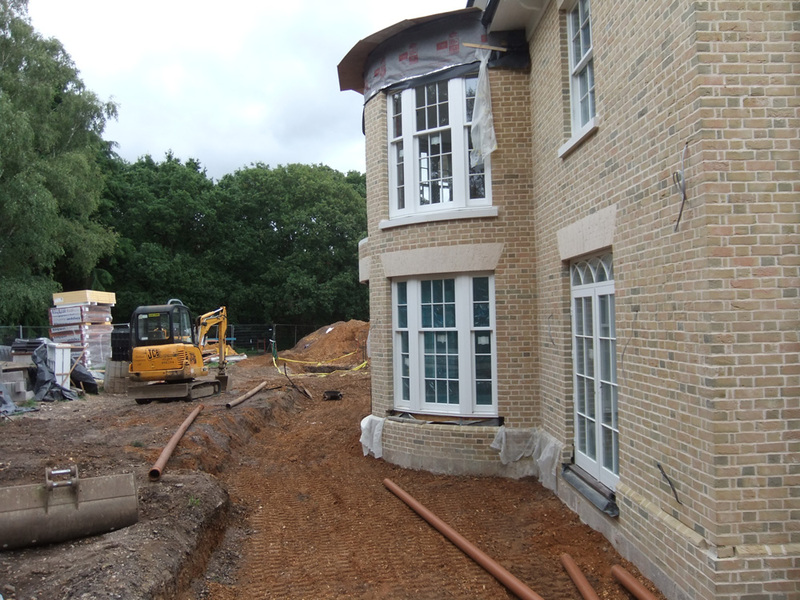 This private detached dwelling, overlooking its beautiful woodland setting is well on its way for a December completion. 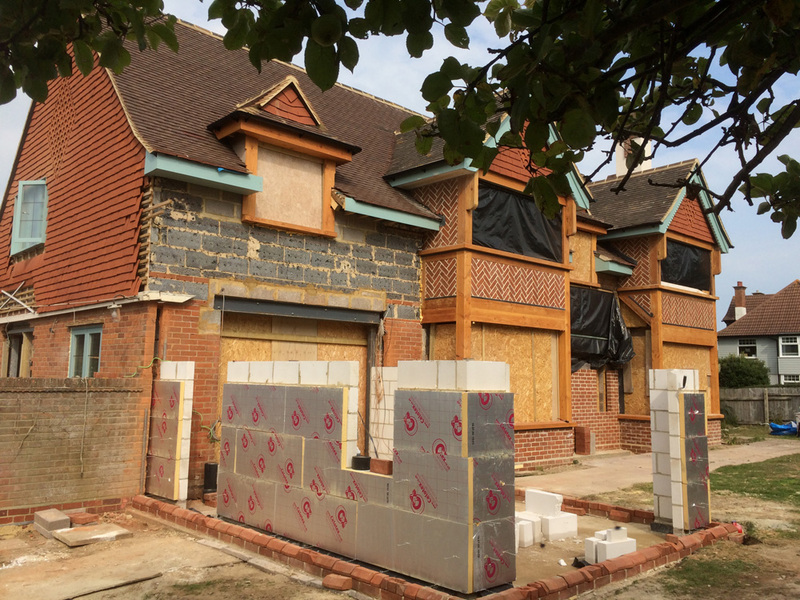 Constructed with SIPs (structurally insulated panels), with a buff brick outer skin and a natural slate roof, this traditional new build house was carefully designed to obtain planning permission on a very restrictive site. This very recently finished Arts and Crafts home has stunning views over the Hampshire countryside from its terraced hillside location. 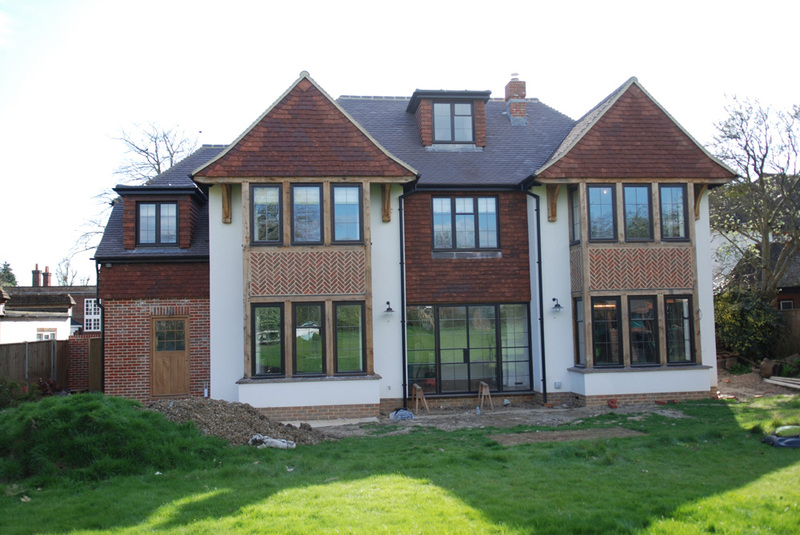 The property was project managed by Build Construction Management to a very high standard, with highly crafted joinery and interior finishes. Although traditional in its architectural style the property has been constructed using SIPs (structurally insulated panels) and is highly energy efficient. 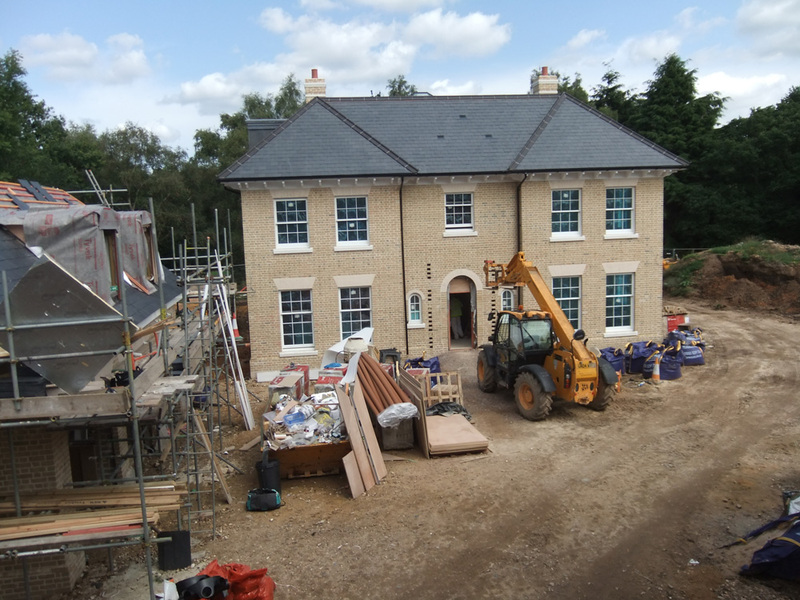 With only the external works to complete, this kitchen extension and boot room wing to a large late Victorian Manor in Berkshire has provided the owners with an open plan family hub that is both fitting and well sized for the home its serves. 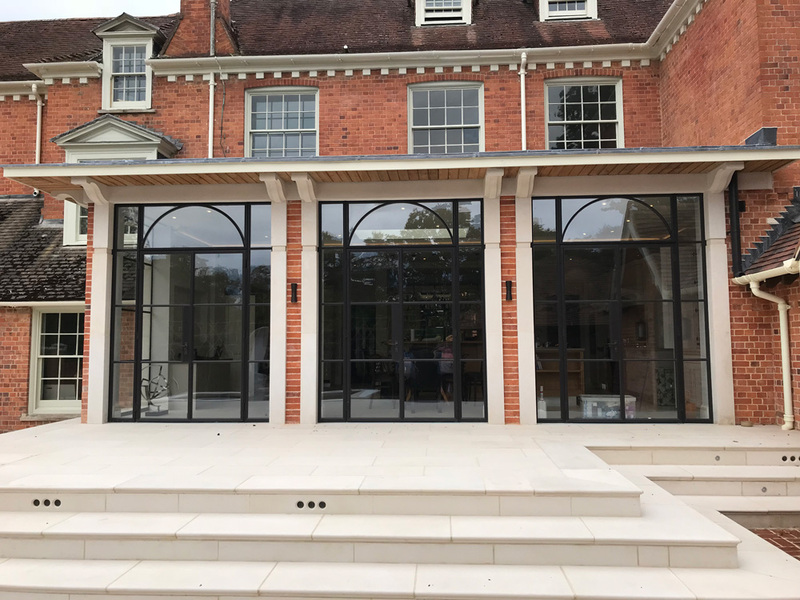 Designed with a contemporary architectural twist to a classical architectural design, the new extensions maximise natural light and provide a much better connection between the house and its grounds. The new boot room wing provides a welcoming everyday entrance as well as essential storage space and service rooms for the working house. 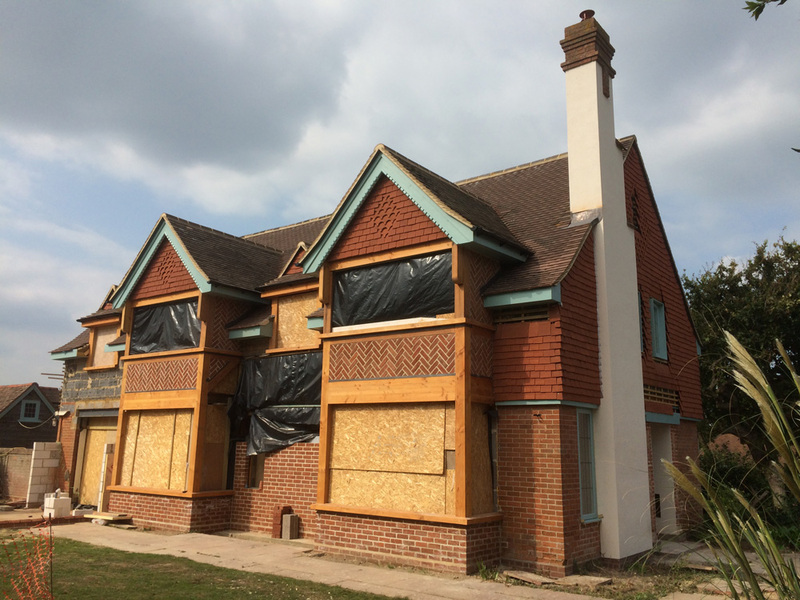 Constructed in the 1920’s and designed by architect William Ravenscroft, this Arts and Crafts villa was in need of restoration and refurbishment after nearly 100 years of coastal weather taking its toll on the timber structural elements. Witcher Crawford are redesigning and extending the property to create a modern family home ready for another 100 years of coastal sun, wind and rain. 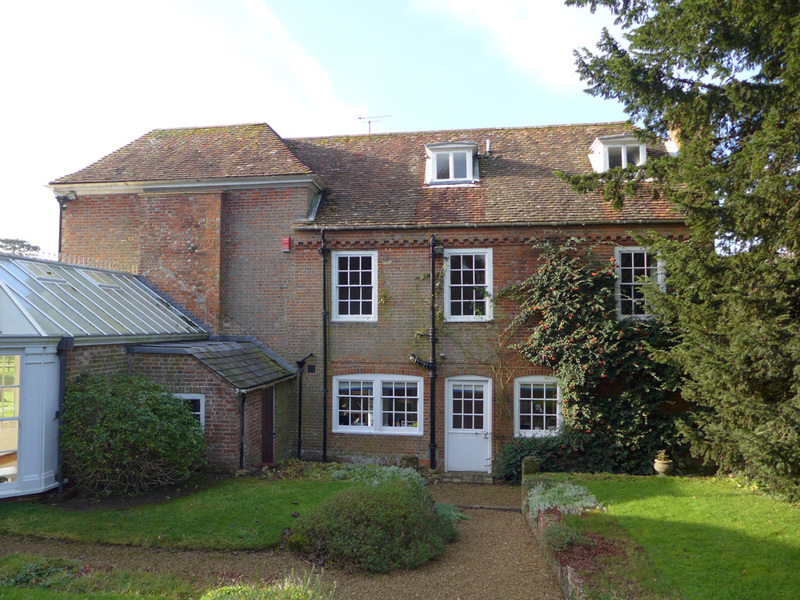 Starting life as an early 18th Century farmhouse, this Grade II listed Manor House was extended greatly in the late 18th and early 19th Centuries. 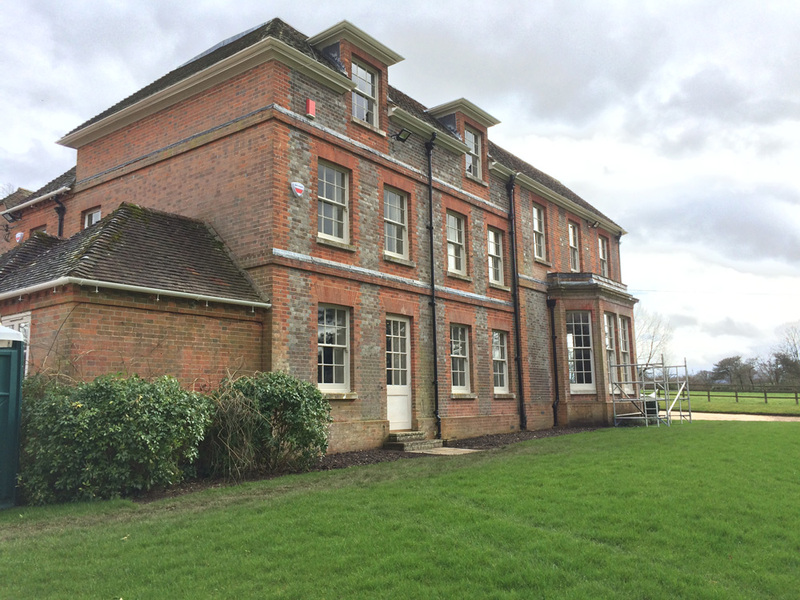 Witcher Crawford were appointed to refurbish and alter the property with the main focus on the kitchen and dining spaces located in the oldest part of the house in its eastern wing. The eastern elevation of the house had become over shadowed by the site’s topography, substantial tree growth and historic additions. 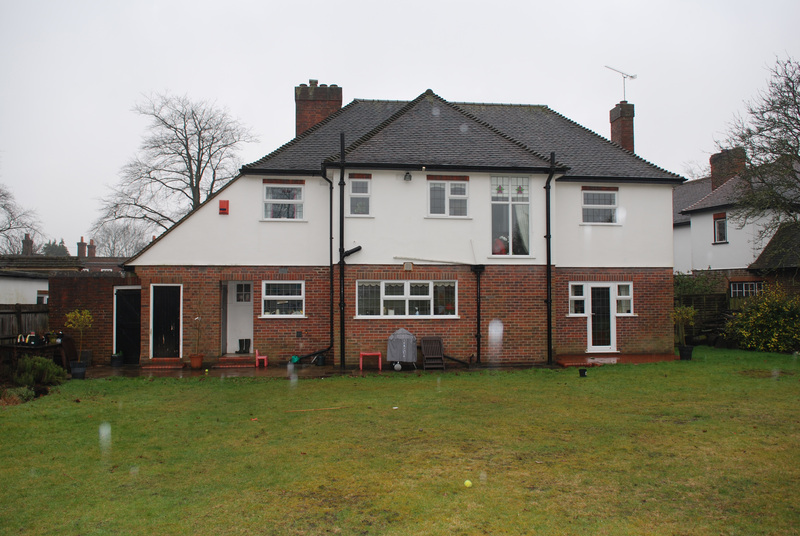 The owners wished to improve natural light into newly planned rooms. Demolition of a modern conservatory allowed for the transformation of the garden to this side of the house, reflecting the early Georgian period in which the original section of the dwelling was built and providing indoor and outdoor space that are open and bright. 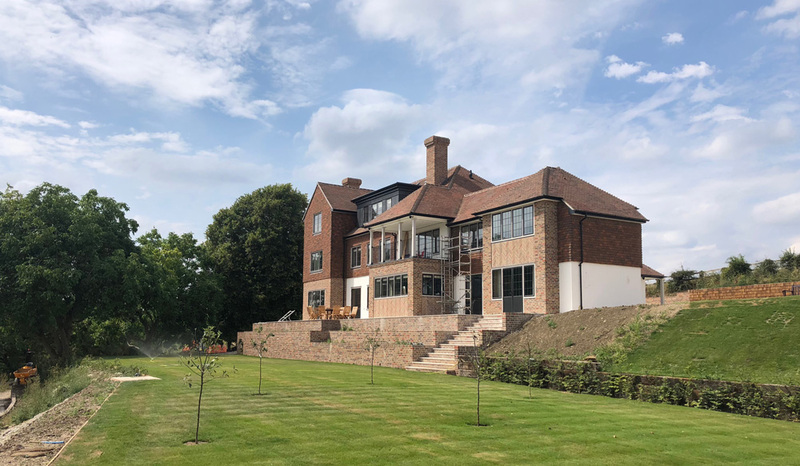 Recently completed, Witcher Crawford have designed and overseen the substantial extension and remodeling of this private detached dwelling in suburban Surrey. 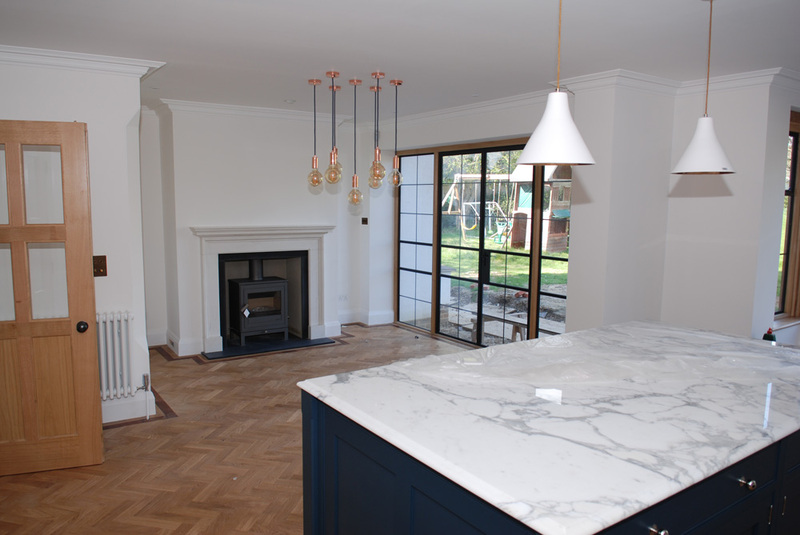 Removing the whole of the back of the original structure, the house was extended in a two and a half storey mass to the rear and side to create a stunning family home that encompasses a focal open plan kitchen dining room. 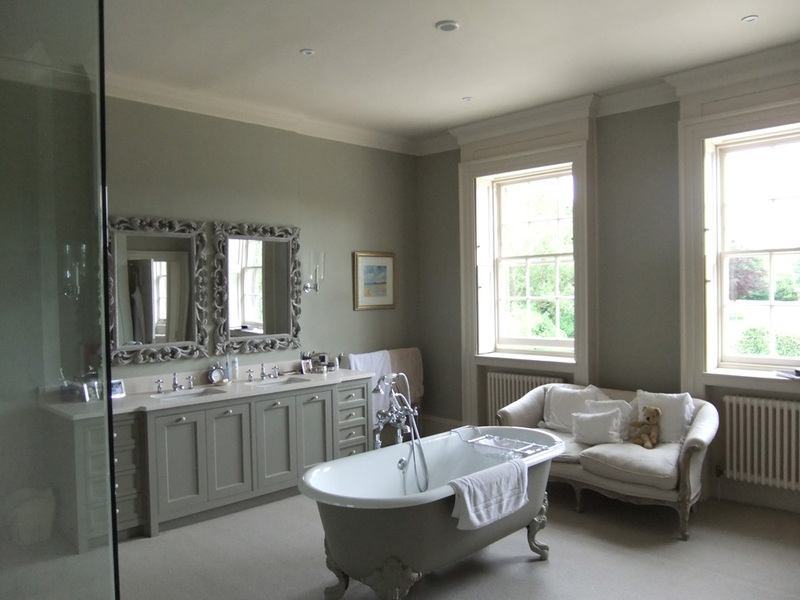 The property has been transformed with clear architectural detailing and high-quality materials, to create a beautiful home that maintains period style. Following completion of main building, landscaping to be completed.